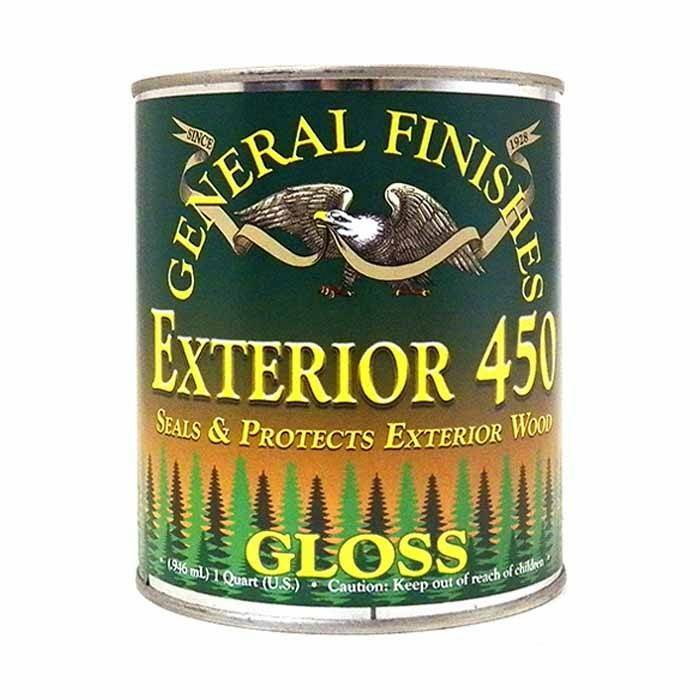 Exterior 450 is a clear-drying finish suitable for exterior surfaces, including fences, patio furniture, garage doors, entrance doors and windows. 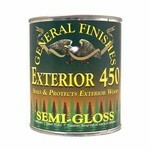 Exterior 450 has UV absorbers to stabilize the finish and built-in mildewcide to retard mold and mildew. All wood projects require preparation sanding. If you skip this critical step, your finish may fail. 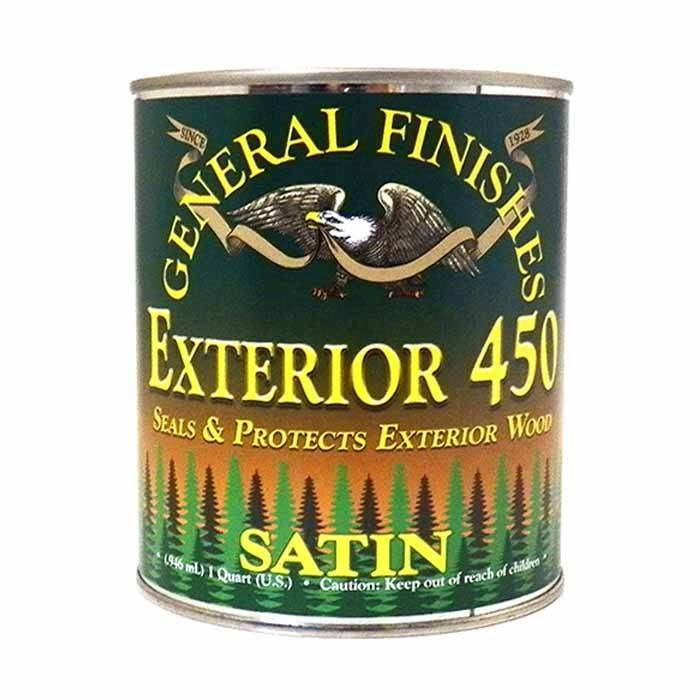 120-grit sandpaper followed by 150-grit or 220-grit sandpaper. Do not over-sand with fine-grit sandpapers; this will close and seal the wood grain, preventing ideal color absorption. Also, do NOT use steel wool on water-based based finishes; the particles will get trapped in the finish and rust. 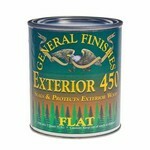 Let dry completely before applying General Finishes Exterior 450. 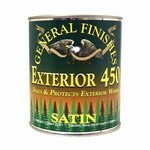 If desired, thin with 10-15% distilled water or General Finishes Extender. Extender will improve flow and leveling and increase open time, which is helpful in dry climates. 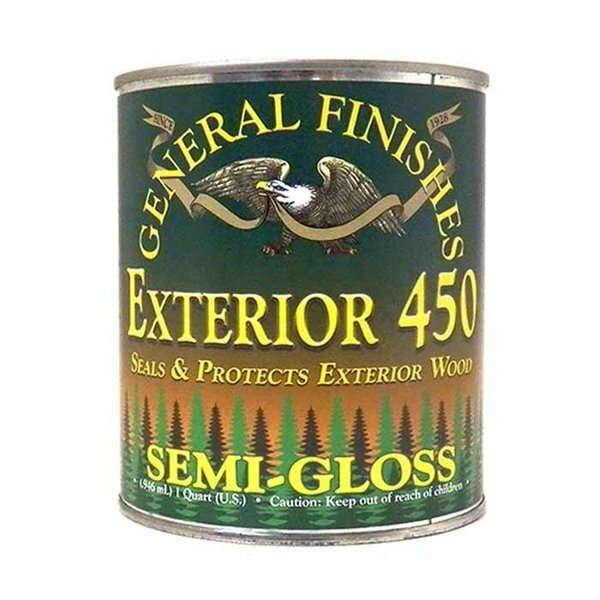 Apply 3 coats of Exterior 450. More coats will not improve durability. Hand application: Apply a liberal amount of product using an acrylic bristle brush, foam brush, pad applicator or roller. Avoid pressure and excessive back-brushing. Brush along the wood grain using smooth, even strokes with light lap marks. Let lap marks dry; they WILL tighten down. 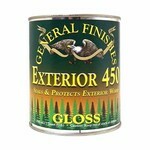 Spray application: Before spraying, strain topcoat through a fine-mesh filter. HVLP: 1.1mm-1.3mm spray tip, medium air cap. Verify tip sizes with your equipment supplier. See our general guide for spray tip sizes. Keep your gun at a 90* angle, 6-8" from the surface. On large, flat areas, use wet, even patterns 6-8" wide. For narrow surfaces, reduce the fan pattern to 2-3" wide to reduce overspray. Overlap each pass 25% to conceal lines. Wear a full filter respirator (NIOSH/MSHA approved) and work in a ventilated space. Visit this FAQ for more information on spraying techniques. WARNING: We do not recommend Exterior 450 stains or topcoats for exotic woods, ipe, teak or other dense, oily woods. 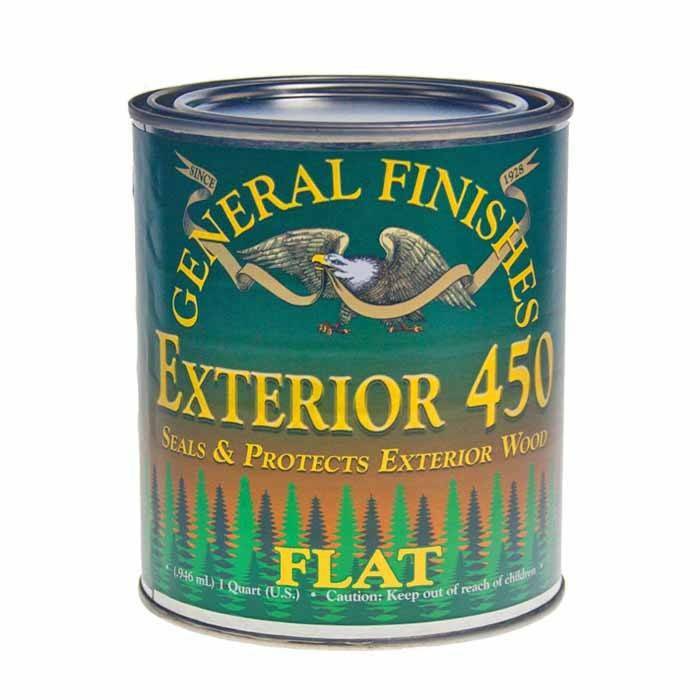 NOTE: Exterior 450 is designed to let the water permeate the finish; as it dries, the water releases back out to allow the finish to tighten down again. Temporary cloudiness may occur as the finish dries.